I'm a new family guy with a wife and young son. 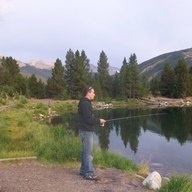 I enjoy playing chess, fishing (when I can), and getting outside with the dog. Outside of real estate I have experience with teaching high school math and coaching wrestling.